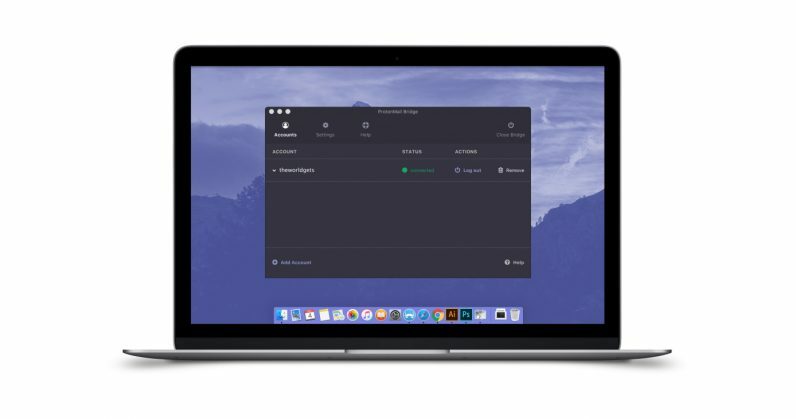 ProtonMail is bringing its encrypted email offering to popular desktop clients. Available now, ProtonMail ‘Bridge’ offers the same end-to-end encryption of its web version to Apple Mail, Outlook, and Thunderbird. After downloading and installing the app, it runs behind the scenes as a local email server. The Bridge communicates directly with ProtonMail’s encrypted email servers through its API, which offers all the benefits of end-to-end and zero-access encryption: meaning, even ProtonMail can’t access your email. While third-party solutions offering encryption on desktop clients isn’t new, ProtonMail’s is perhaps the first that doesn’t require a change in user behavior to take advantage of it. Unlike GPG tools, for example, Bridge requires only some initial setup (with photo tutorials to walk you through it). Once installed, users don’t have to worry about installing plugins, managing keys, or changing the way they send and receive email. For a world that still hasn’t mastered basic password security, the idea that casual email users are going to jump in feet-first to end-to-end email encryption might be a tad ambitious. But change is happening, slowly, and ProtonMail just removed one of the largest hurdles to widespread adoption. You can check it out here. Or, if you prefer webmail, you can snag an account here.